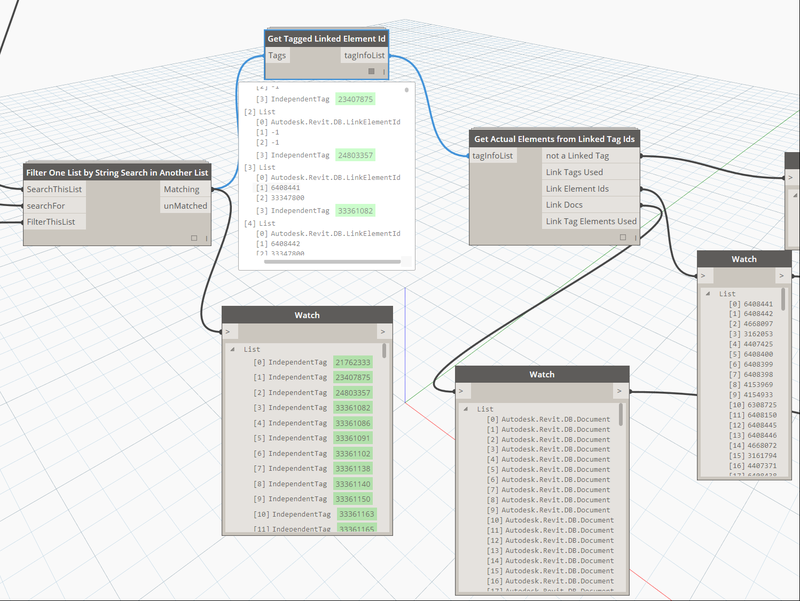 In Revit, Tags may reference elements in the current Document, or they may reference an element in a Linked document. There are a number of useful properties that can be obtained from a Tag that references a Linked document. This node returns a list with sublists which include the source element Id, and information needed to determine which document the element resides in.